Reba and Brooks & Dunn's fruitful partnership, explained. Get the story behind "If You See Him, If You See Her" here! 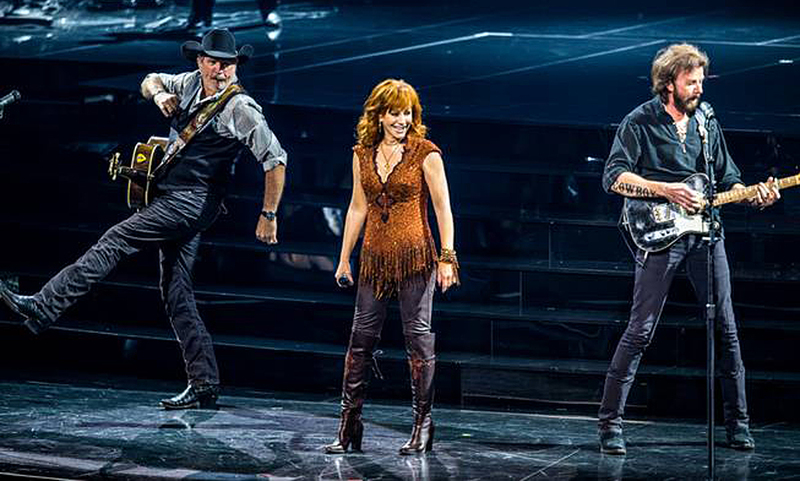 Reba McEntire and Brooks & Dunn have been in cahoots since their wildly successful 1997 co-headlining tour. They’re currently performing a long-running show at Caesars Palace in Las Vegas, but if it hadn’t been for their incredible co-success way back when, this team may not have ever formed. It was during this tour in 1997 that the idea for their duet “If You Seem Him, If You See Her” was born. With the help of the highly sought-after songwriter Terry McBride, recruited by Brooks & Dunn’s Ronnie Dunn, the song came to life a year later. In 1998 upon its release, “If You See Him, If You See Her” peaked at no.1 on the Billboard U.S. Hot Country chart and the Canada Country Tracks chart. Share this background with other fans of this classic combo!